Found this one in our home. 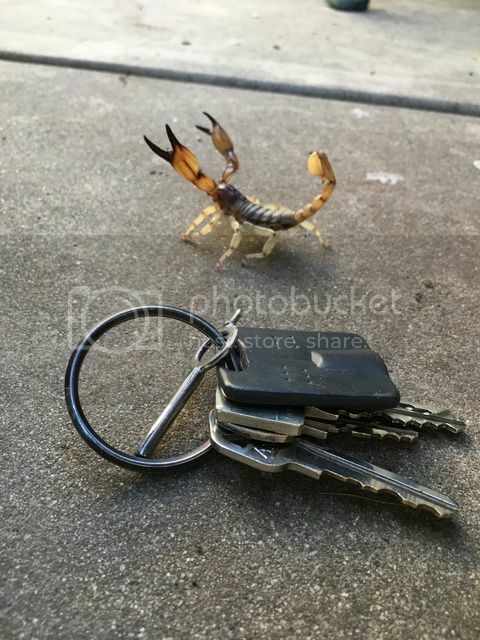 While we've caught Scorpions around here before, they've all been pretty tiny. This one, not so much. Not a monster, but fairly large for what's typically seen. As you can see, it was ready to have a go at it, and by it, I mean me. It did not like being handled all that much. For what it's worth.... You probably know this, but, when our Florida home had a good population of scorpions, I got my son to scan the whole house with a blacklight to find as many as possible. Pretty sure this is Anuroctonus. gcsnelling wrote: Pretty sure this is Anuroctonus. You know, I think you're right. Thank you! 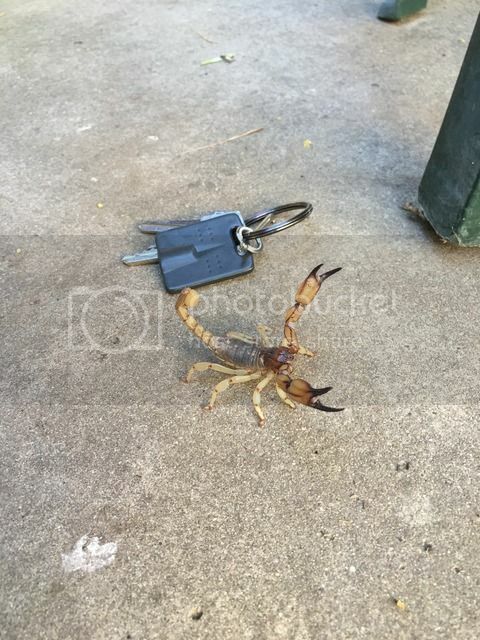 I have never heard of this one, the California Swollenstinger Scorpion. I found lots of pics to compare it to and it's a match. What I couldn't find is much info about them. Any kind of care sheet info or just general wiki stuff, i.e. how long do they live, how potent is the venom, etc.? You should be able to get some good information at arachnoboards. I've kept anuroctonus as a pet before and it's pretty easy. they like to burrow so give them some medium that they can excavate with a piece of furniture that they can burrow beneath. Crickets and a dish of water should be all the sustenance they need.